Until I moved back to California, I rarely made much in the way of Mexican food while living in Atlanta. Well, other than killer salsa and guacamole. It’s among my favorite cuisine, so I did go out for Mexican. A lot. I’m back in the Golden State, and living practically next door to my school chum, Deya, from way back in junior high. She happens to be the best when it comes to cooking authentic Mexican dishes. And I find that I’m often inspired after leaving her kitchen. Whether it’s putting together a pot of pinto beans, carne asada for a crowd, spicy Mexican shredded beef or fresh grilled fish to fill a soft taco, I’m now all about Mexican food from my kitchen. The result is that tortillas are becoming almost as common as a baguette around here. One of my favorite afternoon treats: A freshly cooked tortilla smeared with a little butter, then sprinkled with cinnamon sugar. Oh, and this is teamed with a Cinnamon Roll K-Cup of coffee. But, I’m not inclined to go that route these days. Happily, I don’t have to because I found uncooked tortillas that I can prepare when I need them. Are they worth it? Check out my review. TortillaLand uncooked flour tortillas by Circle Foods, $6.69 at Costco for a resealable bag that contains two packages of 22 tortillas for a total of 44. First look: They’re also available in corn and whole wheat. 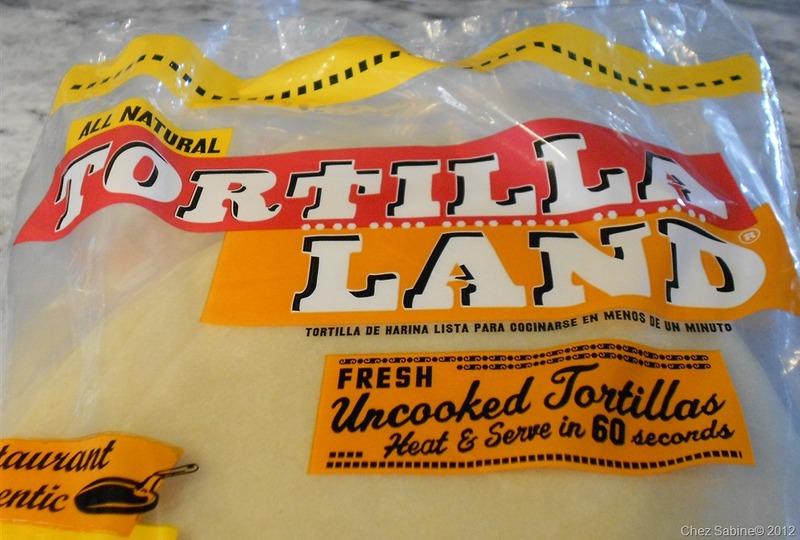 TortillaLand tortillas are made from five ingredients: wheat flour, water, canola oil, salt and sugar. Each 8-inch tortilla contains 140 calories and 4 fat grams. 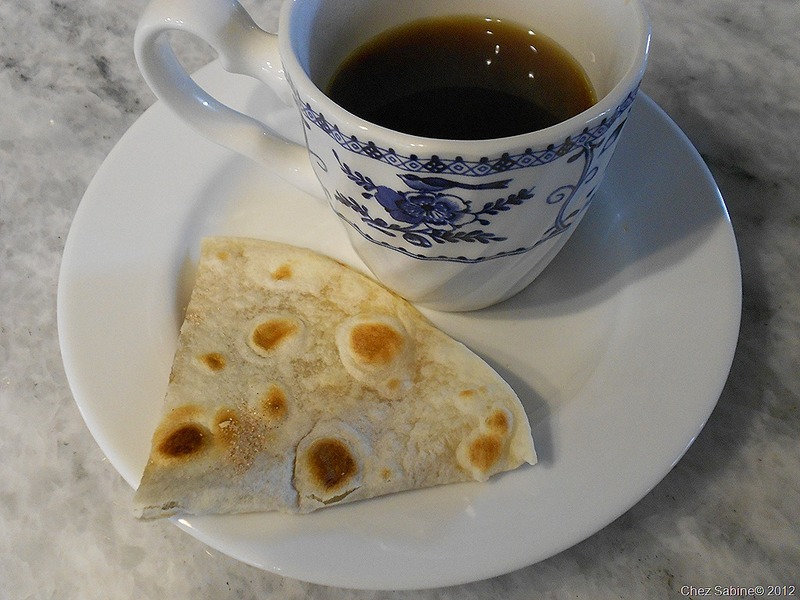 Good news: TortillaLand makes preparing fresh tortillas as simple as toasting a slice of bread. 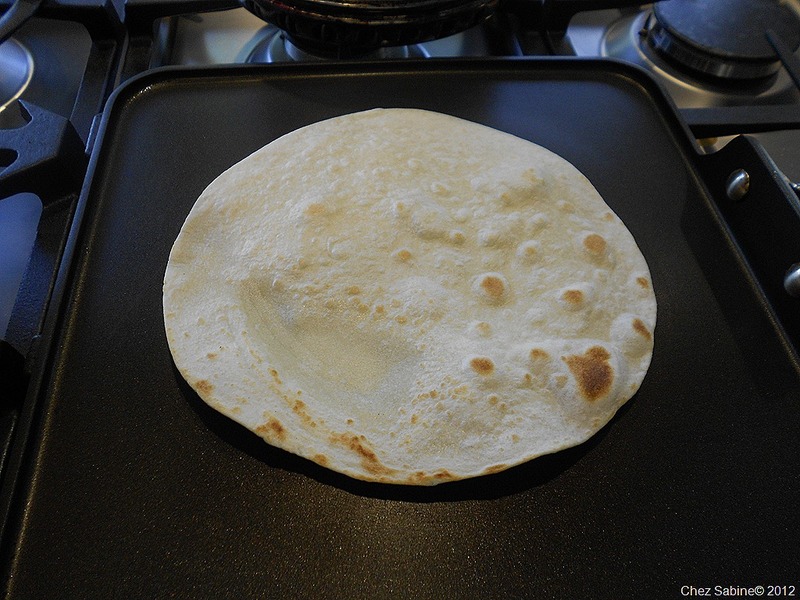 Simply place a tortilla on a hot, nonstick pan, cook until it starts to bubble a bit, about 30 seconds. Flip it over, heat the other side for another 30 seconds, then place the hot tortilla in a warmer or wrap in a clean tea towel. You also can throw them on the grill. Uncooked, the tortillas are as thin as a crepe. Cooked, they’re only slightly thicker, pleasantly chewy, boasting a fresh flavor. They’re the perfect foil for a variety of fillings. And don’t overlook the fact that you could just smear some butter, sprinkle a little cinnamon sugar, fold it up and enter tortilla heaven. That’s always an option. Bad news: You can’t freeze uncooked tortillas. While the large package that holds the two bags of tortillas features a zip seal, the individual bags don’t. It’s a bit of a hassle to keep the opened bag sealed air tight if you’re not stashing the two bags together. Make sure you don’t overcook the tortillas or they’ll be too stiff to roll or fold. You have to take care when separating the uncooked tortillas so that you don’t tear them. I’ve only done that once, so they’re pretty sturdy. Last words: TortillaLand uncooked tortillas easily stack up to homemade. As always, you’ve piqued my interest. Sounds like this is healthy, no extra ingredients. I better come up with a friend to share these with…Kim? Thank you, Laura. Seems that some stores are starting to carry them, so smaller packages should be available at some point, if they’re not already. But the Costco price is so reasonable that it makes sense to share a package. You’ve got the right idea. Yet another product that I wouldn’t have tried without your review (the first…whipped cream in a box) Thank you, I’ll definitely try them. btw do you live in Laguna Beach? I moved from there in 2007, miss it soooo much. Pam, I’m sure you’re going to love these tortillas. They’re excellent. I’m not too far from Laguna, and it’s a destination whenever guests come to visit. It’s just lovely, and I can imagine how you miss it. Thank you so much for reading. We’ve always loved these! One was also responsible for the worst cooking related burn I’ve ha in 25 years. Keep those hands out of the way when they fill with steam! Bruce, ouch. And not only the crazy good cookie spread, but I might have to head to the kitchen for the Nutella. Very continental tortillas. Thanks for the tortillas. I hurried to your blog to see how to cook these treats. I’m off for the test drive. Thanks. Hope you enjoy. Thanks for reading, Bill! Any ideas where I can buy them now? Much appreciate your,response. Nellie, I just found out last week when I went to buy some. However, see if your Costco stocks another brand that is very similar. Tortilla Fresca, also in the refrigerated section. You get two packages with a total of 44 flour tortillas that you heat in a skillet to cook. I thought they were just as good, and I even cooked them on a pizza pan on the grill. Be careful not to burn them. Let me know what you think. Thanks much. Terrific! Thanks so much for replying. Have you seen tortillas Fresco at Costo? Yes, I bought them there. Not sure where you’re located, but I hope they’re stocked in your store. Sabine, how do you freeze them. I have put them in Tupperware container with wax sheet paper in between each one. That worked well and I was just wondering if you do it differently. 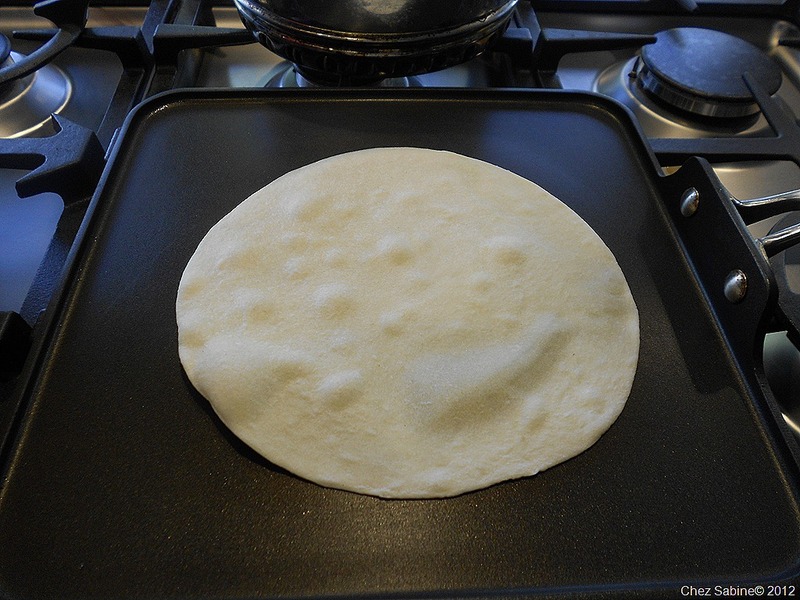 You can reuse the same sheets and keep placing the uncooked tortilla in between the wax sheets. Straight to the griddle from freezer. Oh, I love how you freeze them. I’m doing it that way from now on. Thanks! Why can’t you freeze the uncooked tortillas? You can freeze them but separate them so they don’t stick together.